This easy, fast and fresh vinaigrette boasts fresh tomato and herbs . 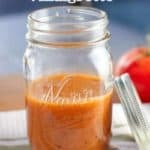 A healthy and easy dressing! Looking for something different to kick up those #Paleo and #Whole30 salads you been munching on the last 8 days or so? This is so fresh and so easy! Throw all the ingredients into a blender, food processor or do what I do and just put it in a jar and use an immersion blender. I haven’t brought out my real blender in years. In fact I bought a fancy one and gave it to my daughter. I just never use it. One more appliance to wash. I don’t even have a big food processor. Just a mini one. I know! What the heck kinda food blogger are you! I’m considering getting a mandolin for slicing but how much you wanna bet that I never use that either. I got a good set of knives and that seems to work. So here we are on Day 8 of the Whole30. Click here for full story. I have not slipped up once but let me tell you my peeps (yes, I still say peeps..). I have been through the hubs of temptation hell! I have been faced with diversity and persevered…can I get a Hallelujah! I went to the movies, watched the Seahawks win the Playoffs and dined at a restaurant…and still stayed compliant. One more Hallelujah my peeps and throw in a woot! woot! while you are at it! Of the six people…we will call them ‘friends’ , who started the Whole30 with me, only one remains on the program…and that one person is my Mom! Always, believe in your Mom! 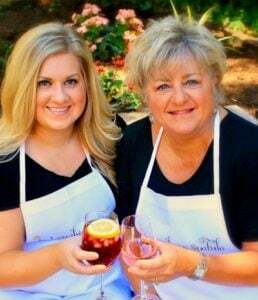 She is the one that will stick by you, thick or thin….carbs or Paleo, your Mom is your best friend! Looking for more Whole30 Compliant foods? Log onto my Whole30 Pinterest Board here. 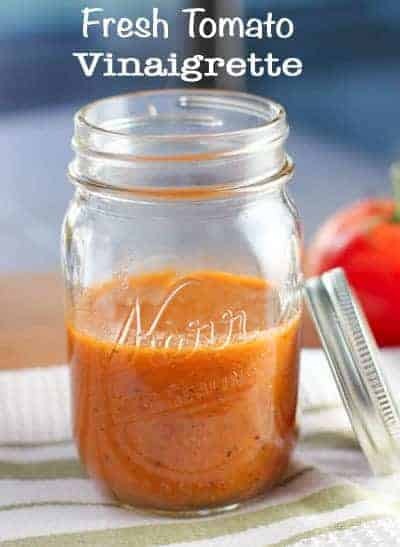 Make this easy and flavorful vinaigrette anytime! Made with fresh tomatoes and wholesome ingredients. Add all ingredients to blender, food processor or use a jar and an immersion blender. Store in a container with a tight fitting lid for up to 5 days in the refrigerator. (It may separate during this time - just give it a couple shakes). I added a pinch of basil, and did not have olive oil, so substituted sesame oil. dressed a pasta salad, and it was heavenly! Never have I tried a tomato vinaigrette before. Thanks for the idea, this is definitely something I need to make.